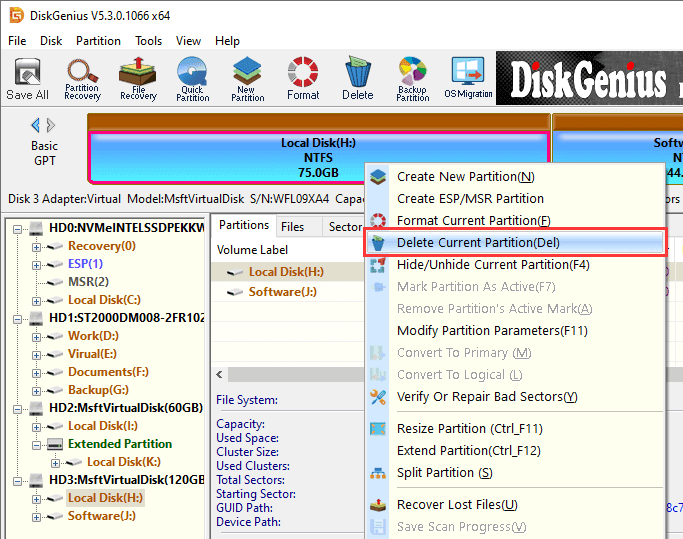 It's easy to delete a partition from hard drive, removable disks or virtual disk with the help of DiskGenius. Step 1 Select the partition you want to delete and click Delete button from toolbar or right-click it to select "Delete Current Partition". Step 2 Click Yes button when DiskGenius asks confirmation. Step 3 Click Save All button from toolbar to make the deletion take effect.